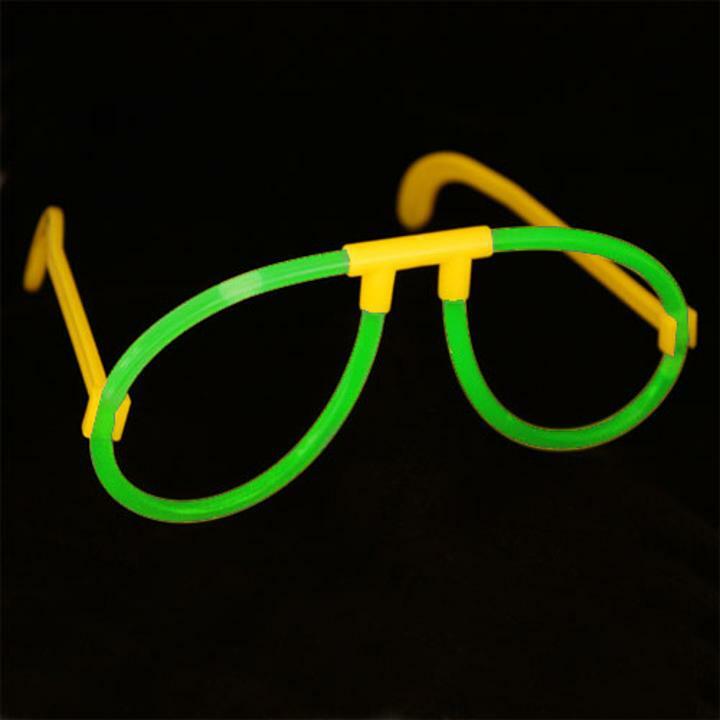 Neon colored bright glow glasses are a great way to dress your guests for your next glow party. These green glow glasses will have your guests celebrating your night time event in style! Each package contains one pair of glow glasses. L: 10.0 in. W: 2.5 in. H: 0.5 in.